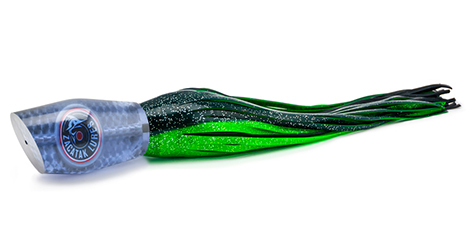 Possibly the best teaser lure on the market, the Monster Cracker also performs successfully with hooks attached. The Monster Cracker is a gigantic beast at a massive 16" long and 61mm in diameter. In motion, the Cracker is turbulent - popping up out of the water before completely disappearing underneath, erratically wavering left to right and mesmerising fish towards the boat. This is the need-to-have lure for switch-baiting and an essential item in every game fishing lure bag!